I think that could be better suited for "your kind of data" than the OSM format. > and tools such as JOSM though. > classifiers how to classify a book you'd get six different answers. >> make some of our set-tos about how to code sound trivial. >> risk was not widely publicized. >> that data is available from the USGS. >> widespread application in OSM, even though I would enjoy seeing it. >> list than on the HOT list, but anyway. >> natural=*, landuse=*, landcover=*, ... Just read the wiki about those (f.e. >> project, but you shouldn't have very high expectations from it. 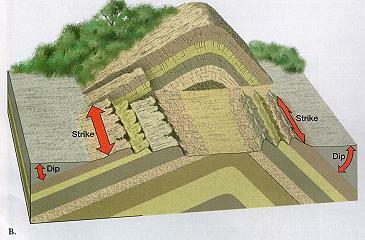 >> like a recommended way to tag fault lines and surface geology polygons. >> its own right. It can also be usefully collected by amateurs. >> would allow experts to quickly and easily make these things. >> faults over and over again). 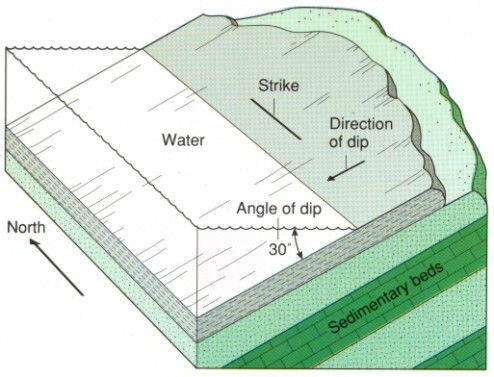 If you map areas of shallow bedrock vs.
>> #2" to detailed technical descriptions) and give them proper names (e.g. >> "the Tunbridge Wells Sand Formation"). >> is enough for many purposes. >> the fold, or on the steepest line down the fault plane or boundary plane). >> lines turned into arrows pointing in the two or three downhill directions). >> don't know of a good video. We could make one. >> Let's look at the Weald area of the UK, since it is well-mapped. >> The cross-section may help make the 2-d map make sense. >> (just gives rock ages, not type). >> gravel...) would be enough to start with. >> low. Classes of students could do it. >> End infodump, requests for clarification and corrections welcome. >> input folds (line, with dip inclination), but this can also wait.